The droughts that shook the east African nations in the mid-1970’s and again in the 1980’s decimated the traditional nomadic clans of Somalia, leaving them without live stock to feed their families. Tens of thousands of the dispossessed, primarily of the Hawiye clan, were relocated to coastal areas. Fishing communities took root and began to flourish. With over 3000 km of coastline, rich with rock lobster and large pelagic fish, these communities grew, perhaps even thrived. Then, as is often the narrative of African nations, came civil war. 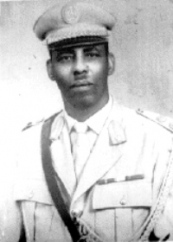 In 1991, the government of Siyaad Barre disintegrated, taking with it both the Somali Navy and Coast Guard. Barre’s rule began in 1969, and his government was built around traditional clan families. As the government eroded, Barre focused more and more of the state’s resources into his own clan, relying on violence to control protesters and militia groups. As the 1980’s came to a close, resistance groups founded along clan lines began open war with the Barre government. The conflict became a full scale civil war as famine in 1991 aggravated an already hungry nation. Over 200,000 people died during that year. In 1992, for the first time in its already long history, the United Nations initiated a humanitarian intervention and sent troops into Somalia. Though they failed to stabilize the region they dramatically reduced the level of violence. This relative calm lasted until 2005, when Islamic militias took control of Southern Somalia. Ethiopia sent troops to Mogadishu in 2006 to quell the uprising, but, despite international support and military assistance, they failed and the Ethiopian army withdrew in 2009. The Somali fishermen fought back. They took up arms and attempted to drive the fishing vessels out. But Somalia was poor, and in the middle of a civil war. The illegal trawlers responded with their own fire power, and an at-sea arms race began. The National Volunteer Coast Guard emerged to coordinate Somali fishermen and mount an organized resistance to the pillaging of their waters. Internationally, the NVCG is now one of many groups collectively referred to as the Somali Pirates. Since the early 1990’s the Somali pirate fleets have grown increasingly sophisticated. Originally acting as defensive pirates protecting their waters from marauding fishing vessels, they soon realized the value of a captured trawler. Companies were willing to pay a high ransom for the safe return of their ships and crew, and captured vessels could be used to extend the range of the pirate fleet, allowing longer patrols and attacks further from their home port. The pirates also benefited from their close proximity to the Gulf of Aden, which sees almost 20% of all international shipping traffic, a rich vein for a resource poor country. The Economist has recently published an exhaustive breakdown of the current state of Somali Piracy – No stopping them. With no government, an occupation force restricted to the Northern cities, and few other economic options, coastal Somalia has entered a state of lawless disarray. Local clans and warlords control the region, and raiding parties have become a lucrative source of income. Somali piracy may have netted more than $238 million in 2010. With the acquisition of larger ships, they have expanded their range from the Somali coast to large portions of the Indian Ocean. The pirate’s infrastructure has improved as well. According to Paul Fontenoy, a maritime historian and Curator of Maritime Research and the North Carolina Maritime Museum, who is currently working on a history of piracy, coastal Somali communities have built an economy around piracy, complete with a stock market where the public can buy and trade shares of different pirate crews, and a distribution network to bring in food and other necessities. Negotiating ransoms with international companies demands technological and diplomatic expertise and professional negotiators demand a high premium. Of course, corruption is rampant, with a few warlords controlling most of the resources and asserting their authority through violence. Despite the occasional dramatic headline, there is little incentive to end Somali piracy. The maritime insurance industry is making billions on insurance against piracy while shipping companies pass the cost on to their clients. Although sometimes beaten and tortured, hostage mortalities are rare, they are, after all, the main source of income. Piracy has benefits for international relations. In response to a need for coordinated action by more than 30 warships from many different nations, the British established Mercury, a communication system that allows the free exchange of information between vessels regardless of flagging nation. This means that American, Russian, Chinese, Iranian, and Yemeni navies are working together to combat a shared problem. Above is my best attempt to summarize the current state of piracy in Somalia and explore its root causes. What follows is my own speculation. Are there parallels between modern Somali pirates and the Golden Age of Piracy? Both rose from prolonged wars that left thousands dispossessed, for Somalia it was the ongoing civil war, for the Anglo-American buccaneers it was the War of Spanish Succession. Pirates of the post-Succession Era were driven in part by nationalism emerging from the usurpation of the House of Stuart which shook the British Empire and would continue to inspire rebellion until the Battle of Culloden in 1746. Traces of the Jacobites echo across American pirate lore. Blackbeard named his flagship Queen Anne’s Revenge, an homage to the last monarch to rule from the House of Stuart. Even today, visitors to Beaufort, North Carolina, arguably one of the most famous pirate towns on the American Main, can dine at the Royal James. The Golden Age of Piracy also paved the way for American Democracy. The pirate fleets were the first settlers to America to be led by elected leader, to have a system to peacefully remove a leader from command, to judicially settle disputes. They were explorers and diplomats, as well as plunderers. The independent state of Nassau, the largest pirate stronghold in North America, was also the first American Democracy. In similar spirit, Somalia’s pirate nation has built what no government has yet been able to, a working economy and a stable, though often brutal, system of governance. While the pirate nations of the America’s eventually fell, they left a legacy that surely inspired the revolutionaries that would soon follow. Just at the Golden Age of Piracy provided a vision for democracy, perhaps the pirate nations of Somalia can inspire stability in a nation that has lived through more than 20 years of bloodshed. This is one of the best blog posts I’ve ever seen: it gave me new insight on a serious global problem, used peer-reviewed research to overturn several common assumptions, and was also extremely entertaining. Outstanding work. But then, I’m just an over-40 victim of fate. I agree, Andrew- great post! A research vessel that my adviser used to work on was sunk by pirates, I’m going to send this post his way. During this time frame, the U.S. also had troops in Somalia as part of the larger U.N. effort. During a botched operation, a group of U.S. soldiers were killed (an incident later depicted in the movie “Black Hawk Down”) and President Clinton withdrew our troops shortly after. Osama bin Laden and Ayman al-Zawahiri have both referenced this incident several times in speeches as proof that al-Qaeda doesn’t need to actually defeat the undeniably stronger American military- if a few soldiers are killed, the “weak” American leaders will withdraw our troops. You said that the U.N. forces failed to stabilize the region- do you think that if President Clinton had kept our troops in Somalia, we might have had a shot at accomplishing this task? You stated that “foreign” fishing fleets poached Somalian waters and attacked Somalian fishermen- which nations were these foreign vessels from? I know that Western European (Spanish, Italian) fishing vessels often poach coastal waters of West African nations, is that what’s happening in Somalia? Few corrections on the article titled: Nothing to plunder, the evolution of the Somali’s pirate nation. In 1974-1975 a severe drought named Dabadheer (Long Tailed) hit Somalia, but largely affected the northern region of Togdheer and parts of Sanaag currently known as Somaliland Republic, were tens of thousands of Isaq and Dhulbahante classmen was relocated to southern coastal towns of Kurtunwrey, Sablaale and Dujuma. Although, you can argue that piracy in Somalia started after foreign fishing trawlers such as Spain, Egypt, Yemen, Thailand, India, China plundered the fishing stocks of Somali coast and destroyed the coral reefs. Furthermore, Italian and other western Companies dumped toxic waste in the southern coast. Part of the blame should be leveled against all successive Transitional Somali Governments (TFG) leaders who issued illegal permits and traded with minuscule amount of money. In late 1990s, after the international community failed to protect Somali fishermen and did not heed the plight of the Somali fishermen, they took the matter into their hands to protect their livelihood and resources by initially taking fishing vessels inside Somali territorial waters. A very cogent summary. Is there a possibility I would post it on Maritime Accident Casebook? Thanks. You’re more than welcome to repost it, just make sure to credit Southern Fried Science and link back to the original. A very interesting perspective into Somali based piracy. The world has almost totally turned its back on Somalia and has done relatively little in trying to end the violence that is now a way of life particularly in the south of the country during which a whole new generation has grown up. There needs to be a big change in political will in order for meaningful efforts to bring peace to the troubled area. Perhaps now that the top American counter terrorism officials now view Somalia as a major threat to the U.S. homeland we will see more concerted efforts to solve the root cause of Somali based piracy. Like Bob Coutie, I would like to post it on Face Of Shipping with due attribution and link back. Just a small point drought in West Africa is mention whereas Somalia is in East Africa. Thanks! Go ahead and repost. There is, however, the Gulf of Aden, which handles 20% of the world’s shipping, and coastal access for Ethiopia, whose ties to Djibouti are currently tenuous at best. Thanks for an exceptionally informative and nuanced piece of work here. Symptoms are always so much more obvious and distracting than diagnosing and curing root causes. And when people begin to profit from treating symptoms, the root cause feeds them, too. I would presume it would be hard for them to see it that way.